Available from 1 August 2019, the WSET Level 3 Award in Spirits is an advanced-level qualification for professionals and enthusiasts wishing to acquire a detailed understanding of the spirits of the world and develop the tasting skills required to accurately describe and evaluate a spirit. This qualification is intended to build on knowledge and skills gained from the Level 2 Award in Spirits. You’ll acquire a deep theoretical understanding of the techniques used in spirit production, from the processing of raw materials to post-distillation operations. Through a combination of tasting and the application of theoretical knowledge you will learn to explain confidently why spirits look and taste the way they do and how and why they differ from each other. You will need to pass both parts of the theory examination (Unit 1), and the tasting examination (Unit 2), to achieve the qualification. On successful completion of the examination you will receive a WSET certificate and lapel pin, and will be able to use the associated certified logo. 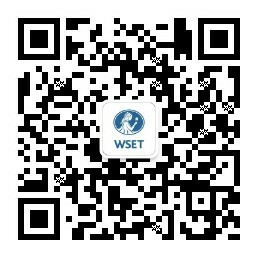 It is recommended that you hold the WSET Level 2 Award in Spirits or can demonstrate the equivalent level of knowledge. You must be of legal drinking age in the country where you are attending the course and exam to participate in any alcohol tasting. However, this is not a barrier to successfully completing Unit 1. Requirements may vary by course provider. The Level 3 Award in Spirits will be available from 1 August 2019. You will be able to download the full Specification from May 2019.